A. Borrelli Mechanical offers a comprehensive range of residential services. We handle all residential HVAC & plumbing installations and services for Westchester. At. A. Borrelli, we are more than just an HVAC and plumbing company. We deal in comfort. We make it our top priority to ensure that each of our customers receives the best care we can give them. Whatever you call us for — we install and repair heating, air conditioning and plumbing systems — our work will last. With A. Borrelli, we offer speedy 24/7 emergency service repairs. That means no more waiting for days through sweltering heat or freezing cold. Call us whenever you need help and we’ll get your system back up and running as soon as we can. Breakages can happen to any system, but you can minimize damage by choosing a trusted repair and installation company. A reliable service provider like A. Borrelli Mechanical can make a big difference. We hire only the best, highly-skilled technicians for repairs and installations. All of our work comes with a satisfaction guarantee. A. Borrelli Mechanical has been a trusted name in Westchester County and New York City for over thirty years. We strive to give you convenient, affordable service. All of our services start with a free quote upfront. We work within your budget to find a solution that’s right for you. We sell and install quality air conditioner systems from manufacturers including Luxaire, Lennox and Mitsubishi. We also repair all makes and models. We will work with you to find a cooling solution that’s right for your home. We sell and install all types of heating systems, including geothermal heat pumps, an eco-friendly heating system that can save you big on energy bills. 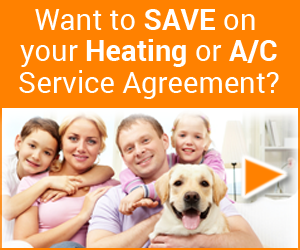 We repair and service all types of heating systems. Our team will help you find the best solution for your home. We believe a good plumber is a good friend for life. Every home needs a reliable plumbing service they can count on, night or day, seven days a week. With over thirty years of experience, A. Borrelli will get the job done right, quickly and efficiently. Our plumbing service is low-cost, and we work to minimize disruptions to your home.